Is culture brokered like stocks, real estate, or marriage? In this engaging book, Richard Kurin shows that cultures are also mediated and indeed brokered by countries, organizations, communities, and individuals -- all with their own vision of the truth and varying abilities to impose it on others. Drawing on his diverse experiences in producing exhibitions and public programs, Kurin challenges culture brokers -- defined broadly to include museum professionals, film-makers, journalists, festival producers, and scholars of many disciplines -- to reveal more clearly the nature of their interpretations, to envision the ways in which their messages can "play" to different audiences, and to better understand the relationship between knowledge, art, politics, and entertainment. 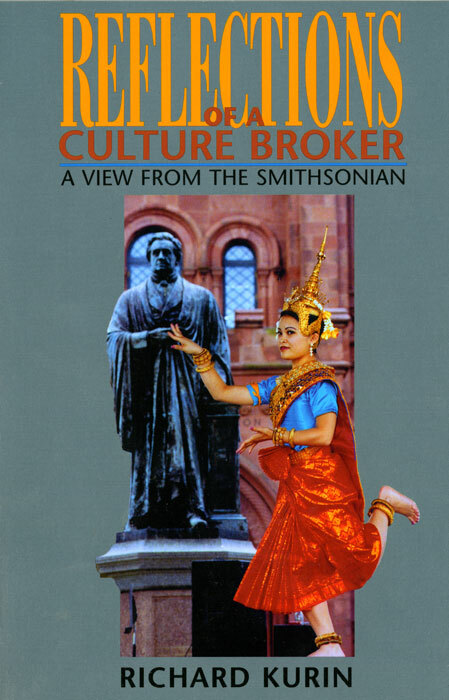 The book documents a variety of cases in which the Smithsonian has brokered culture for the American public: a planned exhibit on Jerusalem had to balance both Israeli and Palestinian agendas; debates over the 1996 Olympic Arts Festival presented differing visions of the American South; and the National Air and Space Museum's controversial display of the Enola Gay prompted the Smithsonian to re-examine the role of national museums. Arguing that cultural exhibits reflect a series of decisions about representing someone, someplace, and something, Reflections of a Culture Broker discusses the ethical and technical problems faced by not only those who practice in a museum setting but also anyone charged with representing culture in a public forum.